As part of my featured patterns series, I would like to share with you some of the toys other knitters have made. I hope these will serve as examples and inspiration for what you could make! Don't forget, both the Mama and Baby Bunny (Ravelry, Etsy) and the Flat Foot Floogies (Ravelry, Etsy) are half price for the month of February! I love how chubby and cuddly this bunny is! Don't you just want to hug him? 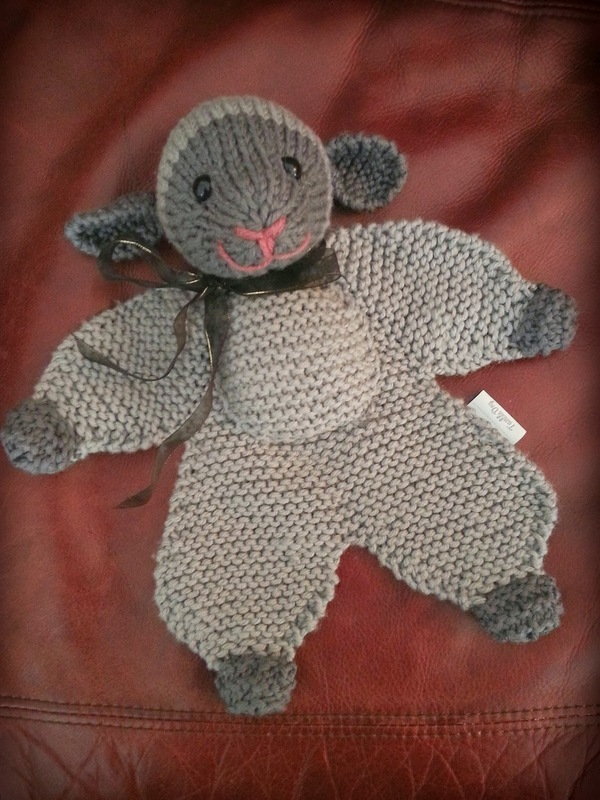 The knitter who made this bunny also has an Etsy shop, where she sells some of her adorable toys. I usually knit my pattern samples from yarn colours that match the actual animal, but it's fun to see how they look in all different colours! 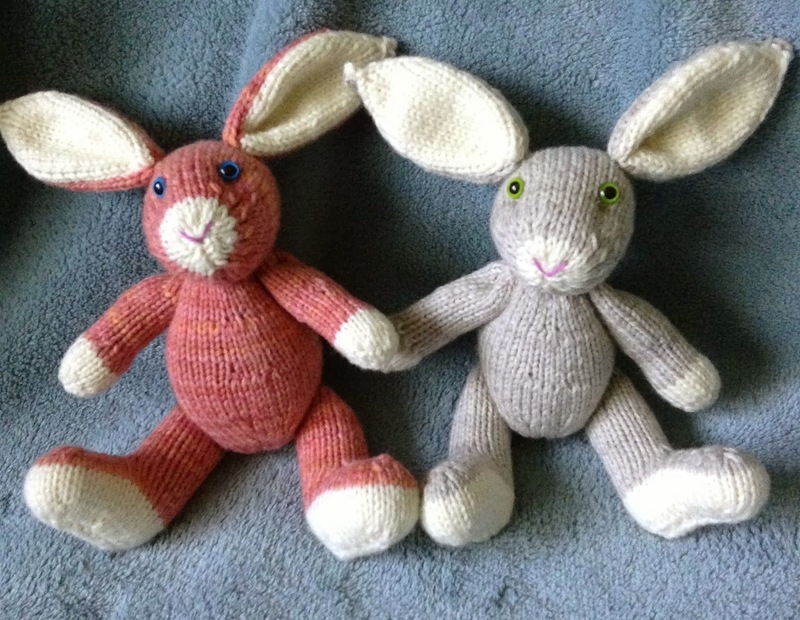 If you're a Ravelry member, check out the projects page to see more Mama and Baby Bunnies. Here's an adorable lamb lovey that's sure to be treasured for many years. I've noticed a number of knitters have worked the feet in garter stitch instead of stockinette. Babies do love different textures! And finally, here is the sweetest ever bunny lovey, with an embroidered heart on it's tummy! It makes me want to add a little heart to all my toys. If you need more cuteness, check out the other toys on the Ravelry projects page. All photos have been used with permission. Posted by Barbara Prime at 2:06 p.m.